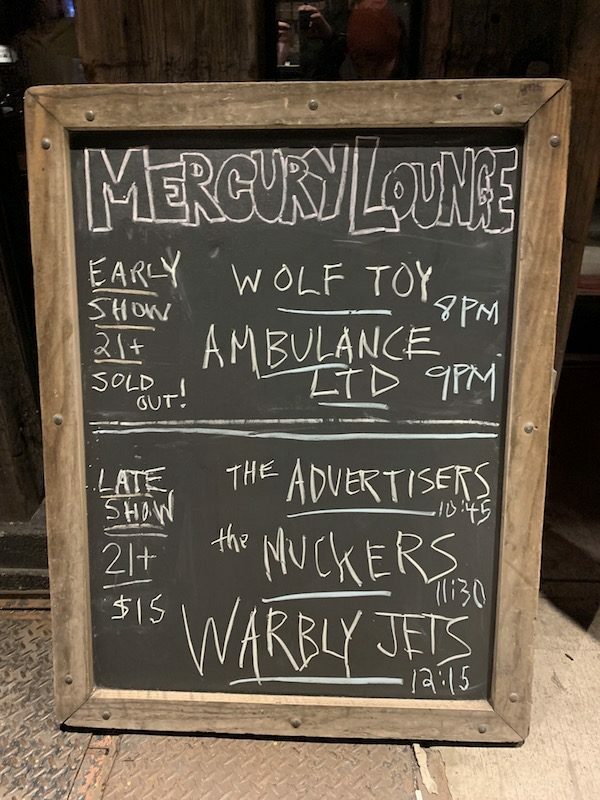 It’s been a decade since Ambulance LTD played their last live show, which made their sold out two-show return at Mercury Lounge this month so welcome. The two shows came as a part of Mercury Lounge’s 25th-anniversary celebration. We caught the night 2 performance last night, which started with an opening performance from a new band called Wolf Toy, who apparently were playing their very first show. I never got a chance to catch Ambulance LTD live as they disappeared from the music world the minute that I really began going to shows at the absurd rate I do now. So I was excited to finally get to right this wrong and get to see them perform. The band basically played all of their lone album LP and gave those songs a new lease of life and extra punch. Frontman Marcus Congleton and the band didn’t say much to the crowd outside of the songs but thanked everyone for coming and how cool it was to be back and see everyone again. 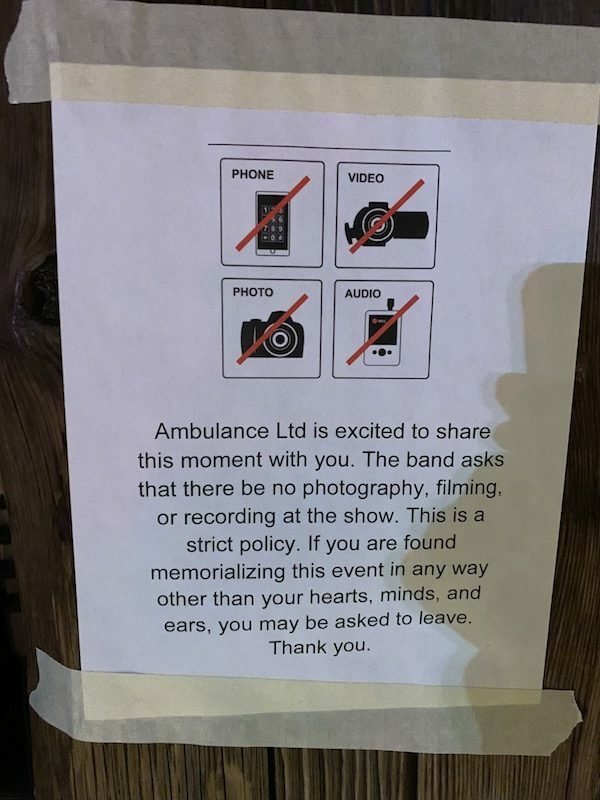 No photos from the show as the band requested that fans not document the show on their phones or cameras, but you can find the setlist for their night two performance posted below.